Should the US constitution be abolished? 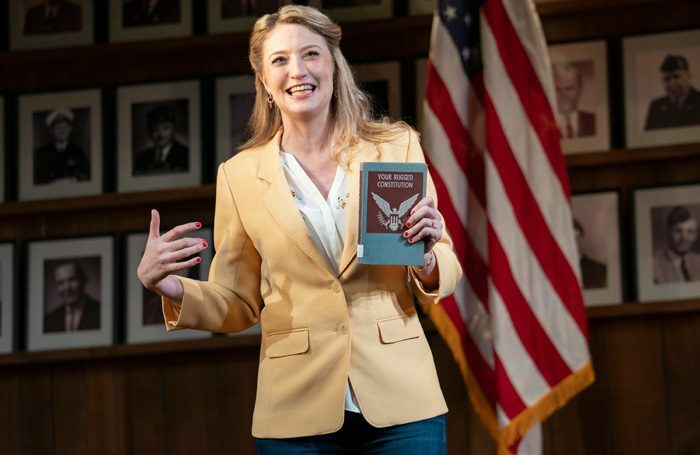 Playwright and star Heidi Schreck debates this issue in her improbably funny and deeply felt play, What the Constitution Means to Me, channeling rage at America’s founding fathers and all they wrought. Referencing everything from Dirty Dancing to mail-order brides, the personable Schreck finds a unique way to pair constitutional history with an intensely personal family story about domestic violence, abortion, and resistance. 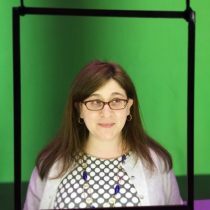 With the assistance of director Oliver Butler, she navigates weighty, traumatic issues with laughter and a lightness of touch. Schreck used to travel around the country to compete in debates about the US constitution to earn scholarship money for university. She recreates this scenario and attempts to relive her zealous efforts to defend the constitution at age 15. But, as the details of her family history spill out, she’s forced to try to reconcile her teenage views with her 40-something self’s understanding of the world. At each performance, a real teen debater (alternatively Rosdely Ciprian or Thursday Williams) joins her for a parliamentary-style face-off. Actor Mike Iveson serves as the stern debate moderator and as “positive male energy” on stage during the more difficult parts of Schreck’s story. He also shares his own tale of evolving identity. Schreck alternates adult world-weariness with a chipper teenage smile, Iveson is drolly deadpan in his supporting turn and the two radiate unspoken-warmth to each other throughout. Between them, they create a powerful onstage debate that delivers a political punch to the gut.